Gorgeous! All brick stately home with fabulous finishes throughout, loads of upgrades and plenty of room for the family! Enjoy cooking dinner in the completely updated kitchen or relax on the screened porch. Beautiful molding and flooring throughout. Large master suite down plus three generous bedrooms upstairs and bonus with back stairwell! Large level lot, perfect for the kids! Call today to preview! This is it! 3 bedroom/2 bath all brick home with new paint, new plank flooring and new carpet. Fenced backyard with covered patio and courtyard driveway. Refrigerator and washer/dryer stay. Great schools and perfect location. Custom Brick, One Owner, Well loved in Prestigious Howard Oaks. Solid, well maintained Anderson windows, intercom, plantation shutters, double dens, Jenn-Aire appliances, 2 large dens, 4BR/3.5 bath, plus bonus/mancave, brick patio courtyard, 3 plus car garage, huge master bath and more! Room for everyone to spread out and have their space. Master Bedroom on main level. Volume ceilings, hardwood floors, fantastic porch, amazing kitchen. Current owner added an office the size of a board room. Fit this home to your specific needs. 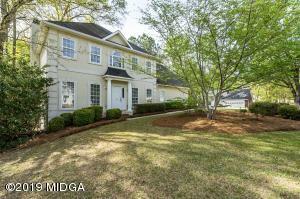 Located in North Macon with easy access to schools and shopping. What a wonderful neighborhood in Springdale/Howard school district! 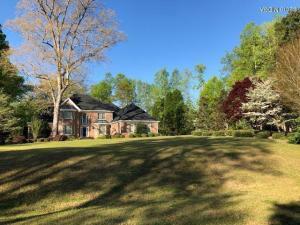 This is a beautiful home, move in ready, and offers a great floorplan with oak hardwoods throughout the main level where you’ll find the great room with fireplace, breakfast area/ breakfast bar in the kitchen, separate dining room, plus a formal living room/office. All bedrooms upstairs including a large master with tray ceiling and it’s own fireplace, and an en-suite bath with double vanity, new granite tops, jetted tub, separate shower and walk-in closet. The 2 tier rear deck with built-in bench seating is perfect for entertaining and there’s plenty of yard space to play. Come see it! Incredible luxury home listing! Brick Southern Living home has everything and more that you would expect in a Million Dollar home! 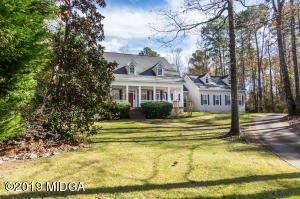 Current owner has renovated fabulous high end Kitchen and Master Bath. High ceilings, stack stone, beautiful covered porch overlooking fabulous pool , jacuzzi, fire pit. Greeted by elegant gas lanterns in this high ended exclusive gated community in Monroe County.